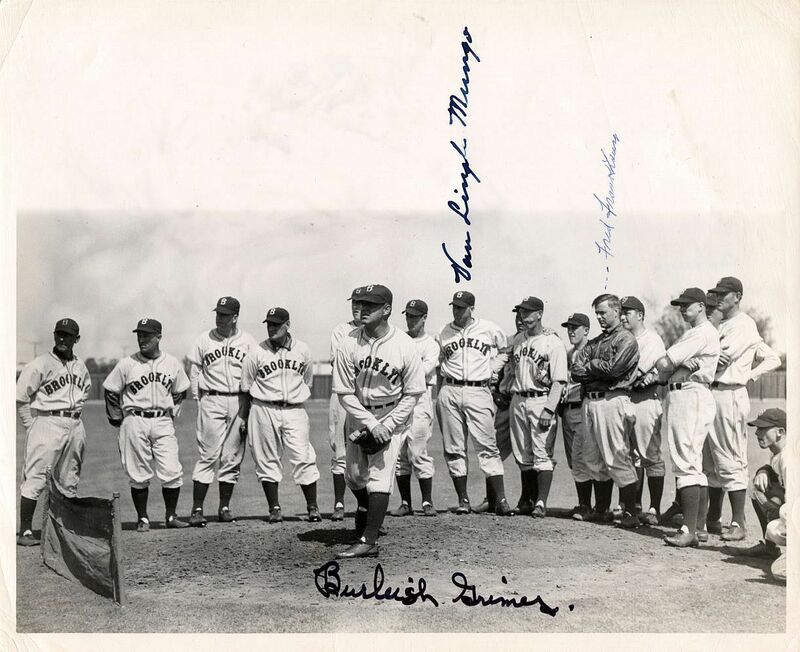 Offered is a UPI wire photo measuring 8x10 in size (stamped on back) from 1937 (this is a 1950’s restrike print). 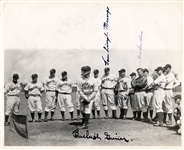 This photo shows the Dodgers in spring training with new manager, HOFer – Burleigh Brimes on the mound showing he still can throw heat. Signed by Grimes (D. 1985), Fred Frankhouse (D. 1989), and Van Lingle Mungo (D. 1985). One of a kind!!! !